Shane is responsible for coordinating all Employee Benefits department activities as well as providing support and knowledge to new producers. Working in the industry for over 10 years, Shane specializes in consulting with groups of all sizes on plan design strategies, claims analysis, legislative compliance and wellness plans. 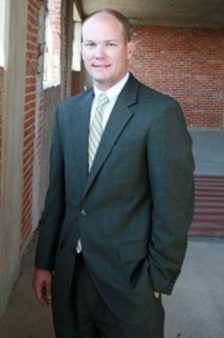 Shane has a BA from Texas A&M-Commerce University; he is also a Licensed Life and Health Insurance Counselor and holds the Registered Underwriter (RHU) designation. Shane Baker, vice president of employee benefits for Insurors of Texas in Waco, has had similar conversations. While companies certainly are anxious about cost, he said most of those he has talked with want to explore the option of coverage versus just paying the penalty. Local insurance broker Shane Baker said getting rid of the fee would please customers. Although he points out the fee when discussing plans that involve Scott & White, the added charge still takes some people by surprise, he said. Insurors of Texas decided to hold the seminar after getting deluged with phone calls following the re-election of President Barack Obama, said Shane Baker, vice president of employee benefits. Copyright by Insurors of Texas 2019. All Rights Reserved.